When beginning to use Microsoft Excel, there are several key Excel mistakes that all students should avoid in order to be successful for the long term of a project. Depending on your industry and specific Excel needs, this list of pitfalls can certainly become a long one. I’ve narrowed down the top 3 mistakes that all beginning Excel users should avoid. How much data do I expect to include in this project over the long term? If you know how much data to expect, in terms of columns and rows, it will drastically change how you may organize the workbooks to begin with. For example, if you have data based on a date, you might want to create separate worksheets for each month (12) and an annual summary worksheet for a total of 13 worksheets. Using this method, your data will remain smaller in size, more manageable and your risk of human error will be much lower. How can I organize the data into the smallest meaningful values? For every field of your data, you should ‘normalize’ the information. Normalized means that your data is in the smallest meaningful values. A classic example of normalization is how you are going to capture ‘Name’ data on a contact list. If you accept both First and Last Name into one field called ‘Name’, then how will you sort by Last name in the future? It will be very difficult. However, if you break this into two distinct fields, First Name, and Last Name, then you have the data normalized and setup for success. Is this workbook pertaining to one subject? If you’re creating workbooks on different subjects, then you should use separate worksheets or workbooks to keep the information organized. One of the worst mistakes in Excel is to try and combine a lot of unrelated data into one worksheet or workbook. Using Excel formulas and references you can easily tie data together across worksheets, so you should use the tools given to you for better organization of the data. 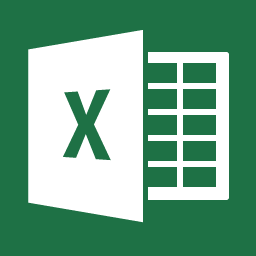 An Excel reference is simply a way to refer to a cell, worksheet, or workbook by location instead of using constant values. By using references properly, your spreadsheets stay dynamic and, most importantly, accurate. The most common mistake when using references is to not utilize ‘absolute’ references. By default, all cell references in Excel use a type of reference called a ‘relative’ reference. This is important to understand because, when a cell reference is relative, the cell reference will change automatically when you copy/paste. An ‘absolute’ reference means that you always point to the same cell no matter what, so copy/paste will not affect the references used. This a key component of Excel spreadsheet building and you must understand how to utilize effectively to be successful in Excel. When you have your spreadsheet data ready, you should then begin to format it appropriately. However, you don’t need to continually make the same formatting choices over and over. When you format one cell or range of cells, you can copy that formatting using a tool called the ‘format painter’. This is essentially a tool to copy/paste the formatting only. Format painter is a huge time saver. 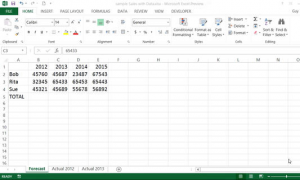 An even more effective formatting technique is to utilize the Excel ‘Styles’ command. Styles are a way to store the formatting instructions into one, easy-to-find place. Then, you can re-use a Style repeatedly and not have to spend any additional time to match the look from one cell or worksheet to the next. As you begin to create worksheets, try to avoid these Excel mistakes and see how for yourself how it helps you be more successful with the program. If you get stuck, send me an email and I am happy to help! Click here to find other Microsoft Excel help.